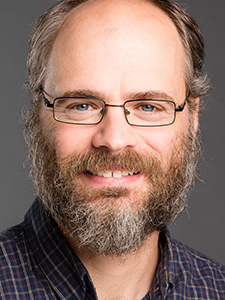 Eric Ortlund received his BA in Philosophy and Classics (double major) at Hillsdale College; his MA in Old Testament and Semitic Languages at Trinity Evangelical Divinity School; and his PhD in Hebrew and Old Testament at New College, University of Edinburgh. Eric teaches Hebrew and Old Testament and especially enjoys teaching Isaiah, the Psalms, and guiding students through first year Hebrew. His research interests focus on Isaiah and Job, and especially how these books can deepen Christian discipleship and sharpen Christian ministry. Some representative pieces include Five Truths for Sufferers from the Book of Job, and Laboring in Hopeless Hope: Encouragement for Christians from Ecclesiastes (both in Themelios), as well as commentaries on Esther and Malachi in the forthcoming ESV Bible Expositional Commentary series. Eric is married to Erin and has two children, Kate and Will. When he is not teaching, he enjoys playing with his children, taking walks, writing fiction, and watching kung fu films.